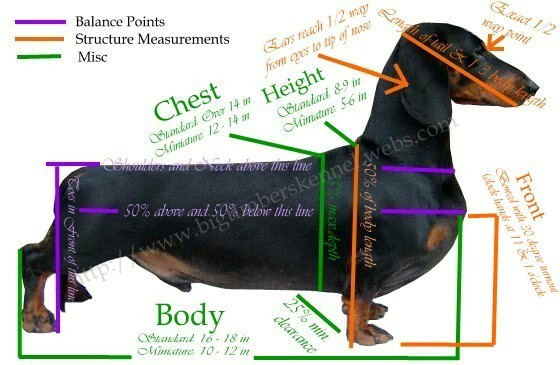 If you are considering purchasing a Dachshund puppy, learn more here. 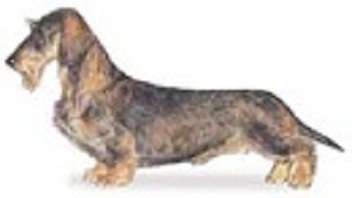 The Dachshund was developed in Germany more than 300 years ago to hunt badgers (dachs, badgers; hund, dog). Dachshunds are bred with three coat varieties: (1) Smooth, (2) Long, and (3) Wirehaired, and is shown in two sizes: standard and miniature. 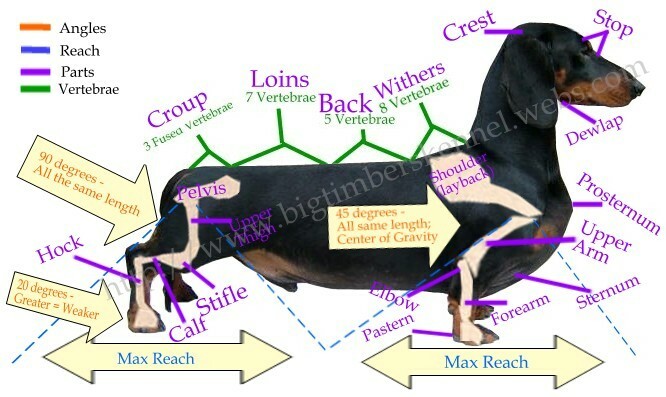 Dachshunds are accomplished hunting dogs despite their lapdog reputations. In the postwar years, to avoid associations with Germany, the Dachshund’s name was temporarily translated to "badger dog." Early in the 17th century, the name Dachshund (badger-dog) became the designation of a breed type with smooth and longhaired coat varieties, and in 1890 wirehairs were added as a third variety. German breeders learned early on that crossing between longhairs and either smooths or wirehairs did more harm than good, and barred such crossed from registration. However, early on in the development of wirehairs, some crosses with smooths was permitted to establish the variety in higher numbers. During the development of the breed, two different sizes were emerging based on the type of game being pursued: dogs weighing 30-35 pounds were being used not only on badgers but wild boar, while smaller 16-22 pound dogs proved effective against foxes and hare. Importations into America date back in the AKC Stud Book in 1885. The Dachshund Club of America has promoted the breed since 1895, and in 1935 Dachshunds were added to AKC field trials to encourage hunting capacity and exemplary conformation and temperament.